Steve was my first year acting workshop teacher, specifying in a practice called “Meisner,” based on the theories and exercises created by Sanford Meisner. Without getting bogged down in actor lingo, I’ll try to describe parts of the Meisner method and how it ended up translating into practical techniques in athletics and fitness years later. What image springs to mind for you? A rabbit, a big cat? Eyes wide, ears twitching, breath shallow and excited? Electrically still, ready to pounce? Steve used these images to describe something called “ACTIVE LISTENING,” which simply meant that you, the actor, were really paying attention to what your scene partner was doing. Active listening would also be a great way to describe some forms of meditation – focusing so intently on the present that your mind clears and you are able to react to what is presented to you. The point of this as an acting exercise was to enable the actors to respond truthfully to each other, and without preconceived notions of what the other person would do, or what “should” happen in the scene. How many times have you cut someone off mid sentence because you thought you know what they were going to say or ask? Has that approach ever really helped grow a relationship, professional or personal? In my experience, not usually. The way that we practiced and warmed up in Meisner class was with an acting exercise were we made a simple factual observation about our scene partner, and they would repeat it to us – “you’re wearing a blue shirt,” “I’m wearing a blue shirt,” and back and forth, letting the words change as our reactions naturally changed based off of the other person’s being and reactions. The idea was to let the words change, but not TRY to change them – we were trying to access honest reactions by truly paying attention to what was going on with our scene partner, and letting our responses organically grow from that interaction. This is something I have been trying to practice in my coaching lately – not literally repeating the words that my trainee says, but renewing my attention constantly to how they are moving and what are they doing – actively listening with my ears and eyes and attention. By treating every moment with them as if I’m seeing their movement for first the time, I will allow myself to stay fresh in how I view their progress – I never want to get too comfortable and let them go through the motions. I need to be as present as I want them to be. This idea of total present-ness helps me as an athlete too. In my warm ups I can practice this attention giving with myself – am I feeling my feet on the floor? Am I connected to my breath? Have I checked with my body, really? 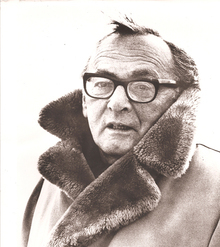 Meisner warned against getting mired in what the script says – it can chain the actor to preconceived notions of what “should” be happening, rather than allowing honest emotion to guide the play. It’s easy to get attached to what you think your clients feel and want, rather than what they actually feel and want. It’s easy to get attached to what you “should” be able to do, rather than honoring what you can do in that moment (Ever say “that squat should have felt easier, it’s only 75%,” or,”that should have been faster/more explosive/etc”? Those critiques often mire us down in the numbers rather than focusing on making our performance the best that it can be that day). It’s been my experience that the ability to listen is one of the most underrated skills you can have, and what I mean when I say “listen,” is this full body moment-to-moment awareness of the trainee and of yourself. We will not achieve that 100% of the time, and we don’t have to. But if we strive to, we will improve our abilities (this type of mindfulness carries over to many if not most areas of life, in my experience). This listening is literal. The best, most effective workouts in the world won’t matter if your trainee feels ignored and lacking validation of their efforts and concerns. Coaches are supposed to be there in a supportive and guiding capacity, and while it is our job to make the hard decisions about the program, progress, etc, if we do that while ignoring our client’s feelings and perceptions, we may find ourselves losing trainees and not understanding why. We may lose our own focus and perspective of our progress if we are not actively listening to ourselves week to week and month to month as athletes. Are we talking about progress with our coaches? Are we journaling or noting or tracking how different workouts effect us or describing and paying attention to other important variables like diet and sleep? My experiences in talk therapy were invaluable to helping me grow this understanding of the importance of listening – my memories of therapy are fairly vague, but I overwhelmingly remember the RELIEF I felt at finally have a place to unburden myself without fear of judgement or social reprisal. And now looking back at my acting school experience, I realize that what the Meisner technique explored was in fact a practical means of accessing mindfulness and awareness of the people we work with, and giving them that potentially healing attention, as well as giving it to ourselves. While coaches are not therapists, we do have a similar obligation to our clients to create a place for them to open up, explore and grow, and we won’t know how to do that without listening to them attentively. Listen to your clients, your colleagues, your partner, your friends – with your whole head and body and heart. It may be exactly what they need, and maybe what you need too.